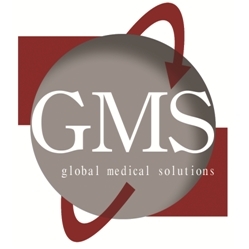 Global Medical Solutions to sell China Operations to Yantai Dongcheng Biochemicals and enter into a long-term collaborative partnership in China. Sherman Oaks, CA, March 28, 2016 --(PR.com)-- Global Medical Solutions, Ltd. (GMS) and Yantai Dongcheng Biochemicals Co., Ltd. (DCG), (listed on Shenzen Stock Exchange; CN:002675), have entered into a strategic alliance whereby GMS will divest its current operations in the People's Republic of China (PRC) to DCG and engage in a long-term collaboration to accelerate the growth of GMS. GMS will continue to operate in Australia, Armenia, Brazil, China, Hong Kong, New Zealand, Philippines, Taiwan, Thailand, and Vietnam. Haig S. Bagerdjian, Chairman, and Chief Executive Officer said: “GMS’s synergistic alliance with DCG will accelerate our growth and align our interests with our new strategic partner. We are very excited for what this transaction does for our overall strategic positioning in the global marketplace."